People who have lost a member of their family know how difficult loss can be. The loss is not only overwhelming but also unexpected often times. This leaves very little time to grieve because you need to quickly begin to deal with the financial implications. With the average cost of funerals being $10,000 and $11,000, the last thing you or your family needs is to worry about if you will be able to cover the funeral expenses. That is why planning ahead is critical. Burial insurance or final expense insurance is a basic life insurance policy that typically covers people until they reach the age of 100. 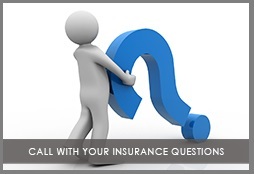 It is easy insurance to obtain, much simpler than complicated whole life or term policies. Depending on the policy, burial insurance or final expense insurance helps your family cover the expenses of a funeral and potentially other outstanding expenses. Call today to get your free burial insurance or final expense insurance policy quote so your family doesn’t have to worry about it tomorrow.